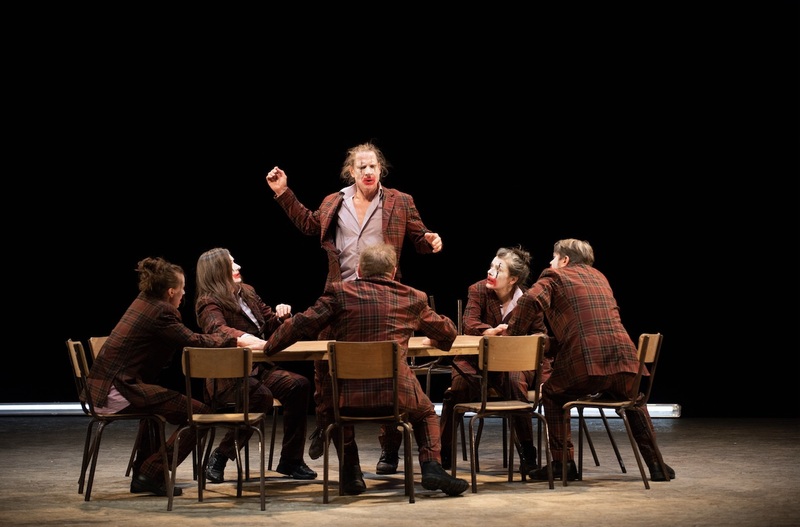 On a bare stage under bright light a troupe of hapless clowns do their unlevel best to get along and pass the time. Rehearsing old gags, getting tangled in new ones, forgetting that anything happened and then remembering and forgetting again. Carefully unbalanced between funny and not funny Out Of Order is the ruins of a show in the ruins of a world. 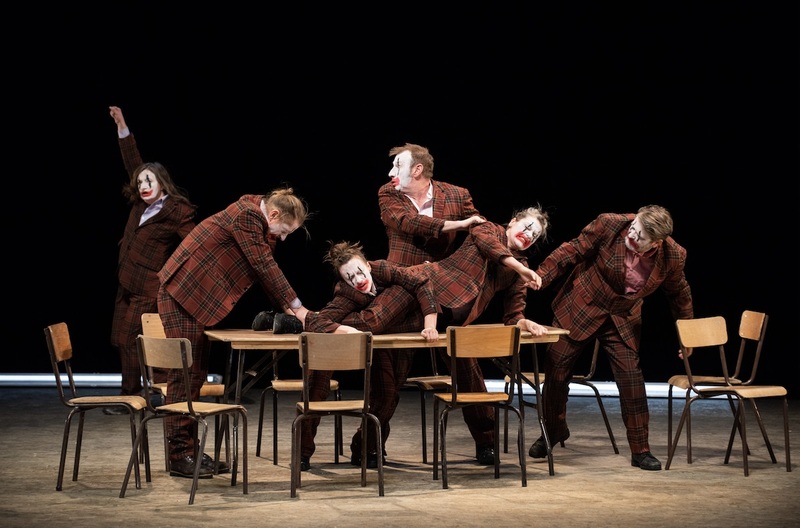 Violence and posturing, high jinx and clown on clown comical capers give way to bickering, exhaustion, hunger, melancholy and silence. The clock ticks. The music swells to repeated climax. And everything comes to nothing. World Premiere 27th April 2018, Bockenheimer Depot, Frankfurt. A mix of "Groundhog Day" and Beckett. Caught in the loop. Devised and performed by: Robin Arthur, Nicki Hobday, Jerry Killick, Richard Lowdon, Cathy Naden and Terry O’Connor. Out Of Order is a Forced Entertainment production. Co-produced by Künstlerhaus Moustonturm supported within the framework of the Alliance of International Production Houses by the Federal Government Commissioner for Culture and the Media of Germany and Schauspiel Frankfurt, PACT Zollverein Essen, HAU Hebbel Am Ufer Berlin and Gessnerallee Zurich. Read Tim Etchells' note on 'Out Of Order': It starts, as our work often does, in the ruins of something.